The days are getting shorter. Temperatures are falling. And that all-too-familiar “end of summer guilt” is approaching: did you do everything you wanted to do this summer? Could you have spent your time more wisely? Could you have done more to contribute to the community this season? But it’s not too late! There’s still plenty of time to pack in fun activities with purpose while the days are still warm. Here are a few things to fill the last days of summer with fun that means something. If you’re in the mood for a little Broadway right here in Grand County, it’s not too late to catch the Rocky Mountain Repertory Theatre’s summer musicals! Annie is perfect for a family night out, while A Gentleman’s Guide to Love and Murder and The Full Monty would be just the right excuse for a romantic late summer evening on the town. By seeing a show at RMRT you’ll be supporting a true Grand County institution—RMRT, which has been bringing the joy of musical theater to the Grand Lake community since the 1960s, is responsible for generating millions of dollars of revenue for the State of Colorado and creates over 20 Full Time Equivalent jobs (FTEs) within the community. And if just watching isn’t enough for you, you can join the ranks of the RMRT volunteers who run many of the theatre’s day-to-day operations. If you love taking advantage of Grand County’s many breathtaking trails, consider giving back to the community by doing your part to preserve and improve these trails while the weather is still warm. 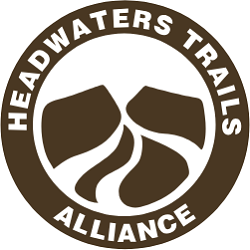 The Headwaters Trail Alliance is a nonprofit advocacy organization that aims to preserve, enhance, and promote sustainable, high-quality, multi-use trail opportunities in Grand County. Upcoming end-of-summer HTA projects include improvement of switchbacks on the Twisted Ankle Trail (August 18), installing a turnpike on Blue Sky Trail (August 19-20), and cleaning up the beautiful Lake Evelyn Trail (August 31). It’s hard to think of a better way to enjoy the last days of summer outdoors while also improving your community! Bring the whole family down to enjoy the Mountain Family Center’s end-of-summer bash with live music by Matty Brown and Gary Key (August 23). Entry is free, and all proceeds from food, drink, and the auction go to MFC programs and services, which include housing assistance, hunger relief, health advocacy, and wellness education. Not only is the Parking Lot Jam a fun way to say goodbye to summer, but it’s also a great way to help make a difference for the less fortunate members of the Grand County community. Calling all golf lovers (amateurs and pros)! The area’s oldest and largest golf tournament will take place on Sunday, September 9, 2018, at Pole Creek Golf Course in Tabernash. The Bert & Ernie has both “fun” and “competitive” divisions to choose from, so anyone can have a great time competing. The immensely popular event also includes a silent auction and food and drinks. 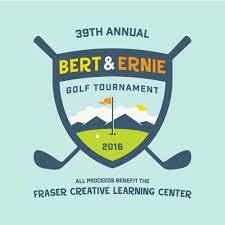 All proceeds go directly to the Fraser Creative Learning Center, which gives Grand County kids a great head start on life and a brighter future by providing high-quality preschool programs to local children. Ever wonder what sled dogs do during the summer? Hang out with some of these beautiful dogs before their summer vacation is over! Mondays and Fridays through September 3 at Snow Mountain Ranch, you can meet a few of the dogs from the Ranch’s dog sled team and play with them in a three-acre dog park. And while you’re there, take advantage of the other summer activities on offer. From archery and disc golf to zip lining and exploring historical sites, every member of the family will find an exciting way to end the summer at Snow Mountain Ranch. There’s no better way to spend the last days of summer than by supporting the many spectacular organizations that make up the Grand County community. There’s plenty to do that will leave you—and our community—energized and ready for new adventures in the fall.